How Far is Anmol Plaza? Anmol Plaza is one of the popular residential developments in Kharghar, neighborhood of Navi Mumbai. It is among the completed projects of Anmol Developers. It has lavish yet thoughtfully designed residences. 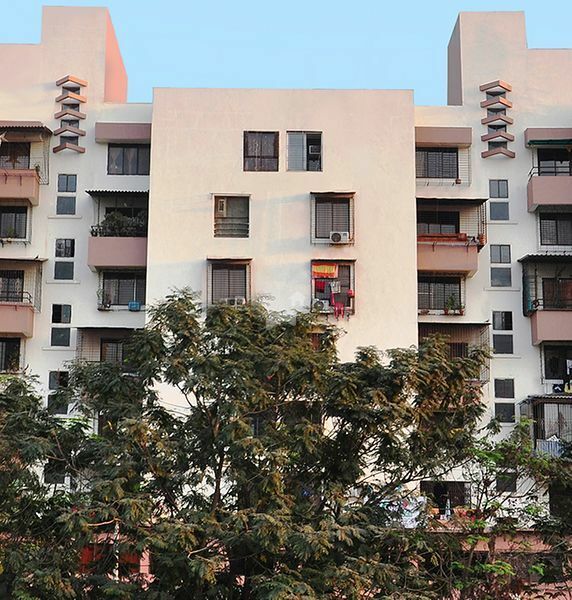 Anmol Developers is one of the premier real estate developers in Navi Mumbai, India with development projects spread across commercial complexes and premium residential developments. Each project bears a stamp of thoughtful solutions and highest quality. The company has partnered with specialists from India and abroad working on various aspects including design, landscaping, engineering and structural strength of each of the developments. Madhavanand G Bhatt started his career as a banker with Indian Overseas Bank but was never satisfied with it, he always dreamt of making big. Thus he explored himself and his potential by setting up a construction firm under the name and title ‘Anmol Developers’. As it is a well-known fact that “Behind every successful man there’s a woman” and the same is with Madhavanand G Bhatt which can be understood with the fact that the Proprietress of M/s Anmol Developers is none other than his beloved wife Smt. Meenakshi Madhavanand Bhatt. For past 10 years the vision and aim of Anmol Developers is to provide shelter to the Middle Class strata of the society and upper class as well. Anmol developers had always emphasized on providing after sales service so as to ensure and maintain personal and cordial relationship with its Customers.